Salvia is the Latin name for sage. There are so many kinds! Russian, Mexican, hummingbird, white, purple . . . the California climate where I live is perfect for so many. If I could, I would fill my garden with them – the pungent aroma, the colors, the variety are endlessly fascinating. 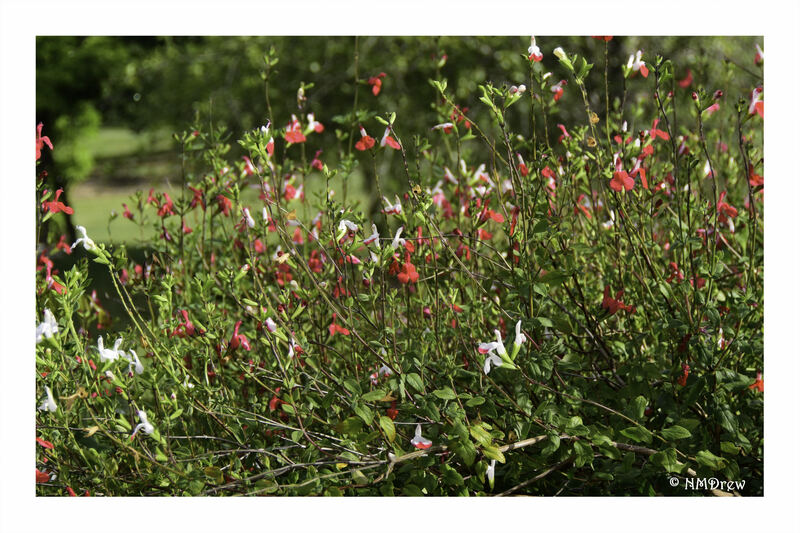 Additionally, they are easy to grow and don’t need much water. 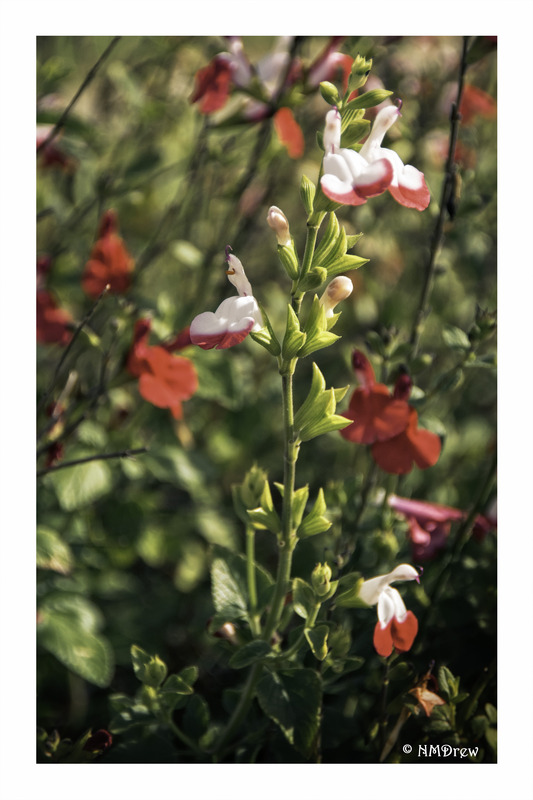 It’s a rather cheery salvia – not as subtle as its sisters.